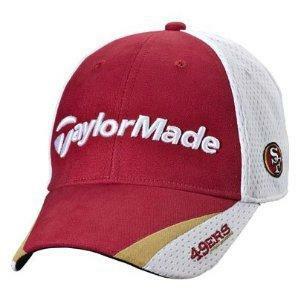 Taylormade Golf has launched a new line of NFL Hats featuring your favorite team. To celebrate the launch of this newly designed headwear, THP & Taylormade are going to give away a few of these to THP Forum Members. There will be FIVE winners in this contest. The deadline of this contest is Saturday September 11th, 2010 at 11:59pm EST. All entries must be received by then to be considered. 1. Below you will see all the NFL games that are scheduled for this Sunday. 3. The entries with the most correct choices will win. 4. You must also pick the overall points total (example: 70) for a tie breaker in the Dallas vs Washington game. 5. You MUST include all the information needed (listed in rules) or your entry will not be counted. Good luck to everybody and we hope that every person here has a blast with this contest following the first Sunday of NFL Football. These new hats from Taylormade Golf are really nice looking and we believe that you guys are going to love them. Got my had today and it is beautiful. Probably the best quality had I have ever had. Unfortunately my Patriots lost yesterday. A high quality and lower prices of NFL hat is more and more popular all over the world. When it comes to the culture of the NFL, you’ll see some real dedication to the football experience in New York. NFL hat is your best choices. The trend of wearing NFL hat can be traced to royalties of yesteryear. To the unique design of NFL hat is more and more popular all over the world.